Last week, the Buffalo Bills shocked the football world by not only walking into Wisconsin Minnesota and beating the Vikings, they walked into Minnesota and dominated the Vikings. It flabberghasted Bills fans as much as it did Vikings fans, only with way less sadness and frustration involved. Josh Allen looked like a demigod, accounting for three touchdowns (two rushing) and straight up hurdling fools in the process. And aside from a late garbage drive, the Bills defense completely shut down Kirk Cousins and a pretty good Vikings pass attack by constantly getting in Cousins’ face and even forcing a few turnovers. It was a complete 180-degree turn from the first two weeks, which were so embarrassing that I’m certain I wasn’t the only Bills fan wondering if we could forfeit the rest of the season. But that’s what this team is: capable of playing fantastic defense, taking the ball away, and setting up a very mediocre-both-on-paper-and-off, offense in the best position to do damage as possible. I have no reasonable explanation as to why the defense was so awful the first two games (part of it was the ineptitude of the offense), but it almost felt like the defense of last year was dead and long gone. Allen is going to be what he’s going to be — he’s a rookie with a lot of potential, but he’s still a rookie in an offense that has had gargantuan struggles — and the defense is going to need to make up ground. Will Aaron Rodgers go full Aaron Rodgers? Aaron Rodgers has been good so far — he’s 14th in the NFL in passing yards with 832, he’s tied for 12th in touchdowns with 6 (with no interceptions) and he’s 8th in rating at 104.5 — but he hasn’t been Aaron Rodgers. He’s had struggles with nagging injuries already this season. He and the offense have been wildly inconsistent, a virtual no-show at times and then picking apart defenses others. But he is still the guy that can shred you at a moment’s notice. The defense, no matter how well they play, will likely fall victim to at least a handful of plays where Rodgers just does something ridiculous. 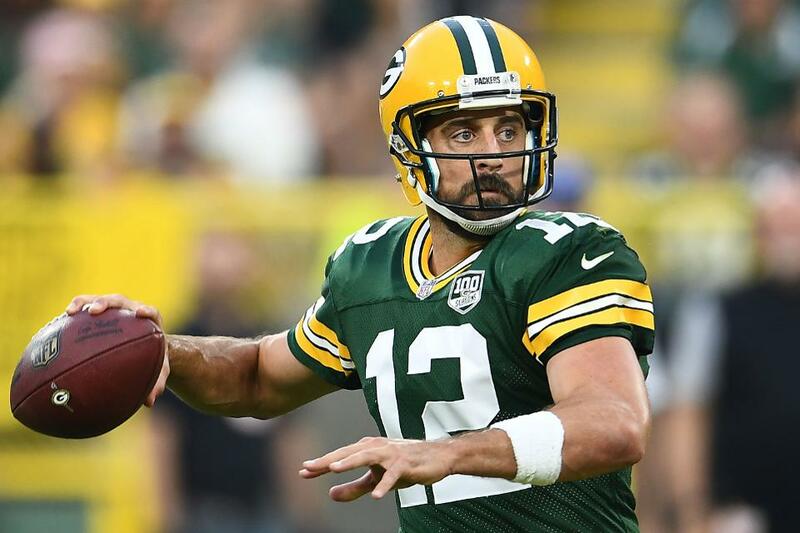 He’s the rare type of player where, when he’s on, he can swing a game in the Packers’ favor in an instant almost regardless of how the rest of the team is performing. It’s almost impossible to stop him, but if the Bills can limit him and force him into making mistakes, that will be the best they can manage. Can the defense have a repeat performance? As mentioned above, the Bills were lights out in Minnesota last Sunday. They applied constant pressure on Cousins, forcing a few fumbles and generally making it impossible for Cousins to find any level of comfort when dropping back to throw. This was the defense Bills fans had expected this season; not the complete train wreck that we saw in the first two games. The million dollar question remains: can they build on that or will they regress? The keys will be the exact same: get in Rodgers’ face. Make him scramble to keep plays alive. Make him extra aware of the rush each time he drops back to throw. The rushing attack in Green Bay has never been the best and it’s already seen struggles so far in 2018. So if the Bills can keep the Packers from establishing the running game, they’ll be in a position to tee off on Rodgers and get in his face. Really, that is the only way to survive Rodgers at this point. Can either running game get on track? As middling as the Packers run game has been — they currently sit 24th in the NFL in rushing yards per game at 89.0 and Jamaal Williams leads the way with just 135 yards — the Bills running game has seen its own struggles. Chris Ivory came alive a bit in week 3 and the Bills are 19th in the NFL at 98.0 yards rushing per game, but Josh Allen leads the team with 97 yards through three weeks. That…that isn’t good. Both teams will likely try to establish the ground game for slightly different reasons. The Packers need to not be so one-dimensional to take a little of the pressure off of Rodgers, making defenses account for the run so that they can’t pin back their ears and rush the passer. The Bills need to get the run game on track to mitigate Allen’s mistakes and to allow him a chance to work at his own pace against a defense that isn’t coming for him every play. The run game is much more important for the Bills. The Packers always have Rodgers and the dynamic passing game to fall back on; the Bills don’t. They need the run game to keep the defense off the field and to give Allen the ability to work in some play-action to help him in his development. Getting the run game in order is a must for the Bills. Can the receivers get their act together? Everyone knew coming into the season that the Bills’ receiving corps were not good. This isn’t a secret by any means. But no one really understood just how bad they were because they have easily been the worst set of receivers in the league. Kelvin Benjamin, who was supposed to be the clear top receiving of the group, can’t seem to catch a cold at this point. Zay Jones somehow leads the team in yards with 106 and is tied with Benjamin for the team-lead in receptions with 6. This is not good. Not even close to good. Jones has potential, but Benjamin has been a massive disappointment and there just isn’t anything viable past he and Jones. 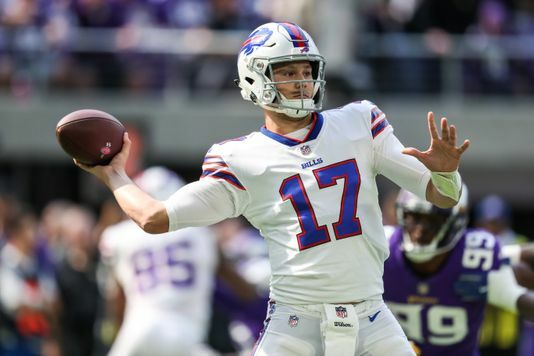 This group absolutely has to step up their game, not only for the success of the team, but for the development of Josh Allen. He’s getting them the ball on a consistent basis, they just need to do a much better job of hauling it in. This will never be a great receiving unit, but they cannot be as bad as they’ve been through the first 3 weeks of the season. As a Bills fan, I’ve learned to never trust good performances. Never ever, ever, not ever. I’m glad they won in Minnesota, but I’m also not foolish and Kirk Cousins is no Aaron Rodgers. The defense looked better in week 3 and will likely not look as bad as they did in the first 2 games, but they can’t be on the verge of a shutout every week. Rodgers will do his damage because that’s just how good he is. Allen will have his growing pains and likely won’t have many outings like he did in Minnesota. That’s okay. He’s young and he’s developing, but the offense will likely struggle under him more often than not while the Packers’ offense is handled by the absolute best.